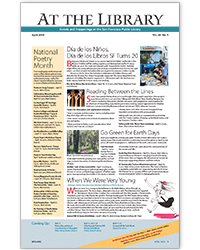 Receive updates on library news, cultural events, exhibitions, family programs, helpful resources, booklists and more. Find our past email newsletters and booklists and keep up to date on Library programming and books at NextReads (from LibraryAware). Connect and share with us on Facebook, Twitter, Instagram and beyond.